The Judicial Branch was added almost as an afterthought. The judiciary was originally designed to be the weakest of the three branches of government. The Anti-Federalists feared the judicial branch becoming a judicial oligarchy, and therefore the judicial branch was constructed to only apply the law to cases they hear. All opinions the judges may have of the law after reviewing the law was considered to be only opinion. Any changes to law, regardless of what the courts felt about the law, could only be made legislatively. However, soon after the Constitution and the Bill of Rights, fears of a tyrannical court arose, and so additional limits were placed on the federal courts by the 11th Amendment. No case against a State by citizens of another State, or by the citizens or subjects of a foreign state, shall be heard by a federal court. The 11th Amendment changes the intent of Article III. As limited as the courts were supposed to be, the Founding Fathers realized the courts weren't limited enough, and as a result, the 11th Amendment wound up being ratified in 1795. Federal judges maintained that the federal courts should have the power of judicial review, or the power to determine the constitutionality of laws. In response to the judicial urgings for the powers to judge the extent of the federal government's powers, in the Kentucky and Virginia Resolutions of 1798, Thomas Jefferson and James Madison warned us that giving the federal government through its courts the power of judicial review would be a power that would continue to grow, regardless of elections, putting at risk the all important separation of powers, and other much-touted limits on power. 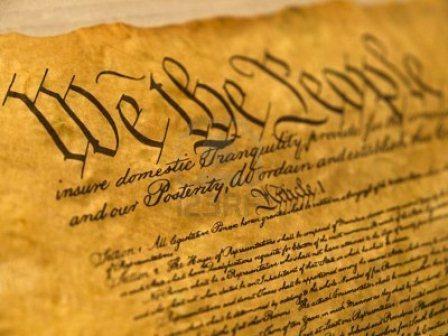 The final arbiters of the Constitution are not supposed to be the courts, argued these Founding Fathers who were believers in the limiting principles of the U.S. Constitution. The power of the federal government must be checked by State governments, and the people. 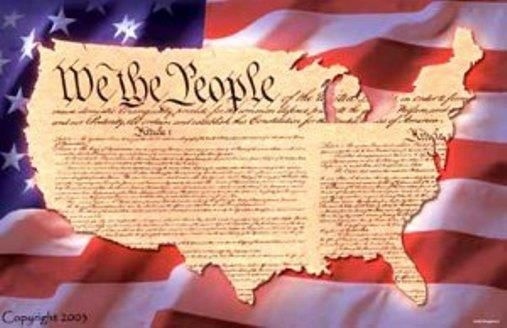 The States and the People are the enforcers and protectors of the U.S. Constitution. As you may recall, John Jay, the first Chief Justice of the United States Supreme Court, resigned his position in 1795, disappointed in how few powers the federal courts had. When approached later by President John Adams to return to the United States Supreme Court as the high court's Chief Justice, Jay turned Adams down. He said the Court lacked "the energy, weight, and dignity which are essential to its affording due support to the national government." He also did not wish to serve under Thomas Jefferson, the victor in the 1800 Presidential Election, who was an advocate of limited government, and a judicial branch that existed as the weakest of the three branches of government. While John Jay was Chief Justice, among the influences of his decision that the court was too weak to promote a strong, centralized national government, was the case of Chisholm v. Georgia in 1793, which eventually led to the proposal, and ratification, of the 11th Amendment. A citizen of South Carolina sued Georgia for the value of clothing supplied by a merchant during the Revolutionary War. After Georgia refused to appear, claiming immunity as a sovereign state, as per the Constitution (Article III, Section 2) the federal courts took the case. The nationalist view by the justices deemed that in this case Georgia was not a sovereign State; therefore, the Supreme Court entered a default judgment against Georgia. What ensued was a conflict between federal jurisdiction and state sovereignty that reminded the anti-federalists of their fears of a centralized federal government consolidating the States, and destroying their right to individual sovereignty. Realizing that the clause in Article III gave the federal courts too much power over State Sovereignty, Congress immediately proposed the 11th Amendment in order to take away federal court jurisdiction in suits commenced against a State by citizens of another State, or of a foreign state. This is the first instance in which a Supreme Court decision was superseded by a constitutional amendment, and evidence that the Founders saw the legislative branch and the States as being more powerful parts of government than the judiciary. Constitutional Amendment - Changes made to an existing constitution. Judicial Branch - The branch of the United States Government responsible for the administration of justice; a central judiciary that is limited to federal authorities, and separated from the will of the central leadership. Judicial Review - The unconstitutional authority of the federal courts to review law, interpret the Constitution regarding laws, and then determine the constitutionality of laws. Separation of Powers - A division of governmental authority into three branches: legislative, executive, and judicial; division of powers between the States and federal government. 1. Why did the Founding Fathers design our governmental system with the Judicial Branch being the weakest of the three branches of government? 2. Why is judicial review only supposed to be an opinion? 3. How did Chisholm v. Georgia change the authorities granted to the federal judiciary? 4. How does the 11th Amendment protect State Sovereignty? "Electors shall meet in their respective states, and vote by ballot for President and Vice-President, one of whom, at least, shall not be an inhabitant of the same state with themselves; they shall name in their ballots the person voted for as President, and in distinct ballots the person voted for as Vice-President, and they shall make distinct lists of all persons voted for as President, and all persons voted for as Vice-President and of the number of votes for each, which lists they shall sign and certify, and transmit sealed to the seat of the government of the United States, directed to the President of the Senate. The President of the Senate shall, in the presence of the Senate and House of Representatives, open all the certificates and the votes shall then be counted. The person having the greatest Number of votes for President, shall be the President, if such number be a majority of the whole number of Electors appointed; and if no person have such majority, then from the persons having the highest numbers not exceeding three on the list of those voted for as President, the House of Representatives shall choose immediately, by ballot, the President. But in choosing the President, the votes shall be taken by states, the representation from each state having one vote; a quorum for this purpose shall consist of a member or members from two-thirds of the states, and a majority of all the states shall be necessary to a choice. And if the House of Representatives shall not choose a President whenever the right of choice shall devolve upon them, before the fourth day of March next following, then the Vice-President shall act as President, as in the case of the death or other constitutional disability of the President. The person having the greatest number of votes as Vice-President, shall be the Vice-President, if such number be a majority of the whole number of Electors appointed, and if no person have a majority, then from the two highest numbers on the list, the Senate shall choose the Vice-President; a quorum for the purpose shall consist of two-thirds of the whole number of Senators, and a majority of the whole number shall be necessary to a choice. But no person constitutionally ineligible to the office of President shall be eligible to that of Vice-President of the United States." The 12th Amendment changes the procedure for electing the President and Vice President originally provided for in Article II, Section 1, Clause 3. The procedure has remained the same since its ratification, save for the States changing their procedures from appointing the electors by the choice of the State legislatures, thus following the instructions of the State legislatures, to the citizens voting for who the electors are expected to vote for. Though the electors are free to vote for anyone eligible to be President, in practice they usually vote for the candidates chosen by the voters in their State. 1824 is the last election in which electors were primarily appointed by their State legislature. In that election, six states followed that procedure. South Carolina was the final State to follow the practice, ceasing the appointment of their electors by the State legislature upon the approach of the American Civil War. Each State is constitutionally allowed to choose how to appoint or elect their electors, and the methods vary from State to State. Generally, electors are nominated by their State political parties in the months prior to Election Day. In some States, the electors are nominated in primaries, the same way that other candidates are nominated. Other States nominate their electors in party conventions. The need for the 12th Amendment became apparent after the problems that arose in the elections of 1796 and 1800. The Twelfth Amendment was proposed by the Congress on December 9, 1803, and was ratified by the requisite number of state legislatures on June 15, 1804. Before the 12th Amendment, electors could vote for two candidates, though at least one had to be from a State different from that of the elector (as a protection against a larger State dominating the federal government). A majority of the vote needed to be received in order to win the presidency. If no candidate received a majority vote, then the House of Representatives chose the President. In 1800, after a tie in the Electoral College, the House tied 36 times. That particular election was marked by a battle between the Federalists, and Jefferson's Democratic-Republicans. Even though Burr was Jefferson's running mate, Aaron Burr wound up Jefferson's adversary when the vote went to the House. The lame-duck House controlled by the Federalists threw their support behind Burr, because they did not trust Jefferson's philosophy of a limited government. The term Electoral College did not appear until the early 1800s, and did not appear in legislation until 1845. The concept was designed to act in a manner similar to Congress, where a portion of the election was connected to the population-based premise that was also used by the House of Representatives, and another portion of the Electoral College would be based on the State appointment premise used by the U.S. Senate. In Federalist No. 39, James Madison explained that the Constitution was designed to be a mixture of State-based and population-based government. In Federalist No. 10, James Madison argued against "an interested and overbearing majority" and the "mischiefs of faction" in an electoral system. His definition of "faction" in relation to elections was "a number of citizens whether amounting to a majority or minority of the whole, who are united and actuated by some common impulse of passion, or of interest, adverse to the rights of other citizens, or to the permanent and aggregate interests of the community." In a republic it was necessary, according to Madison, to vary the distribution of powers, including those powers held by the members of the populace. Only a thorough division of power throughout the American System would protect the United States from the excesses of democracy, and countervail against factions. Madison further explained that the greater the population and expanse of the Republic, the more difficulty factions would face in organizing due to such issues as sectionalism. Prior to the 12th Amendment, the choice of the Vice President went to the second place winner of the presidential election. The Vice President, unlike the President, did not require the votes of a majority of electors. If a tie arose, the Vice President was chosen by the Senate, with each Senator casting one vote. Though it was not specified in the Constitution whether the sitting Vice President could cast a tie-breaking vote for Vice President, because the sitting Vice President is President of the Senate and casts the tie-breaking vote, it is assumed that if that situation had arisen, the sitting Vice President would indeed be the deciding vote for his successor. Because the second place winner became Vice President, it was very possible for the President and the Vice President to be from different parties. In fact, that is what happened in the 1796 election. John Adams won that election as the Federalist Party candidate, and Jefferson became the Vice President as a Democratic-Republican candidate. The fear was that by the two men being of different parties, the Vice President may do what he could to impede the ability of the President, or could even launch an effort to remove the President from office so that the Vice President could succeed to the office of the President. The 12th Amendment eliminated the possibility of problems arising between the President and Vice President due to them being from different parties by having the President and Vice President elected as a ticket, thus lessening the Vice President's motivation for staging a coup. The 12th Amendment also eliminated the "two votes for presidential candidates" method, changing it instead to the electors casting distinct votes for President and Vice President. The 12th Amendment indicates that no elector may vote for both candidates of a presidential ticket if both candidates inhabit the same State as that elector, a provision consistent with the Framer's original language against collusion. The 12th Amendment also clarified language to not allow those constitutionally ineligible to be President from being Vice President. A majority of Electoral Votes is still required for one to be elected President or Vice President. As in the case before the 12th Amendment, when nobody has a majority, the House of Representatives, voting by States and with the same quorum requirements as under the original procedure, chooses a President. The 12th Amendment requires the House of Representatives to choose from the three highest receivers of Electoral Votes, rather than the top five as was the process under Article II, Section 1, Clause 3. The Senate chooses the Vice President if no candidate receives a majority of Electoral Votes. The 12th Amendment requires a quorum of two-thirds for balloting. Electoral College - A body of electors chosen by the voters in each State to elect the President and Vice President of the United States. Limited Government - A government that acts within the limitations granted to it; a governmental system that is restrained by an enumerated list of authorities; a limited government is the essence of liberty. Quorum - Minimum number of members of an assembly necessary to conduct the business of that group. Sectionalism - Loyalty to the interests of one's own region or section of the country, rather than to the country as a whole; loyalty to a political agenda or ideology rather than to the country as a whole. 1. Why did the States originally appoint electors, rather than the electors being elected directly by the popular vote by the public? 2. What lessons did the Election of 1800 provide? David McCollough, John Adams; New York: Simon and Schuster. The English colonists were trying to work with the Indians, made treaties with them, and tried to live in peace with them. It was the Spanish who slaughtered the Indians, took them as slaves, and raped the women and forcibly took them as wives. So, first of all, it is the ancestor of the Mexican, not the English Americans, who committed genocide against the Indians. You've heard of Cortes, right? As for the Southwest United States, the reason for the Mexican-American War was that Santa Anna was storming through the land and ripped up Mexico's 1824 Constitution which was designed to be much like ours. The Tejanos in Texas, and Californianos in California, did not consider themselves Mexican. There were only three Mexican settlements in what is now the Southwest United States. Los Angeles, San Jose, and Santa Fe. The Mexican-American war was not a war of expansion by the United States, it was a war of liberation. The lands north of what is today's Mexican-American border, and many of the lands that wound up still remaining Mexico, asked for help and the United States came to the rescue. Even after the war, the United States decided to still pay money for the lands, and they didn't have to. Remember, the lands were taken from a dictator who was keeping the people in what is now the Southwest United States under an iron fist, and they wanted Liberation from it. If the United States had annexed most of Mexico like was being considered, or accepted pleas for Help by places like the Yucatan Peninsula, which applied for statehood and actually went before Congress in the hopes of becoming a state, Mexico would be a lot smaller today. By the way, if we would have taken more of Mexico, because much more of Mexico was indeed asking to be liberated from Santa Anna, those lands would also be prospering today and the areas that are doing horribly would be the smaller Mexico. Mexico is not a trash hole because of resources, or lack thereof, but because of the style of government it has always had. These people calling Americans bigots, racists and fascists are the descendants of Santa Anna's Mexico, not the freedom-loving settlers from Mexico who cried for liberation from the dictator, and the United States came to the rescue for in the Mexican-American War. It is because of the English Saxon political system that America has been prosperous. Meanwhile, Mexico's political system is based on the old Roman Imperial mindset which existed in Spain during the colonial period, and of which took hold in Mexico. The Spanish system is the reason they have not prospered. If Mexico had been able to keep their 1824 Constitution, if the United States had gone farther and completely decimated Santa Anna's forces so that the 1824 Mexican Constitution had remained in place, Mexico would be as prosperous, and as free, as the United States. In short, the racists screaming in the video, and promising the change the demographics to Mexico, are working for a dictator mindset. They are invaders who are actually the real racists and bigots, and if they get their way, California will be as poor and destitute as Mexico. If you will notice the colonies that were English, which were based on the Saxon system of limited government, are today the more prosperous countries in the world (or were before they began to insert socialism into their systems). If a country decides to take on a collective style system, or a centralized top down government with a strong centralized government, they do not prosper. They become like Mexico, or worse, like Venezuela. It is the Mexican political system that is the poison, which is based on Spain's old Roman Imperial System. This is why we are so against illegal immigration. Those people come to America with the poison of the bad political system in their minds. The people are not poison, but the political ideas they have are. Immigrants who come here legally largely abandon the poison, and shed their allegiance to the old system. Legal immigrants assimilate, embrace the American political system, and become cogs in the overall republic, rather than a poison that is determined to destroy American liberty. The La Raza supporting people in the above video are destroyers. They are Santa Anna's army, who believe in a tyranny of hate and control. They are the kind of people who were slaughter millions of people under the orders of Santa Anna. They were the people who demanded an iron first over the people, and the destruction of the 1824 Mexican Constitution. They are the enemies of freedom, prosperity, and godly equality (as laid out in the Declaration of Independence). See you this week? 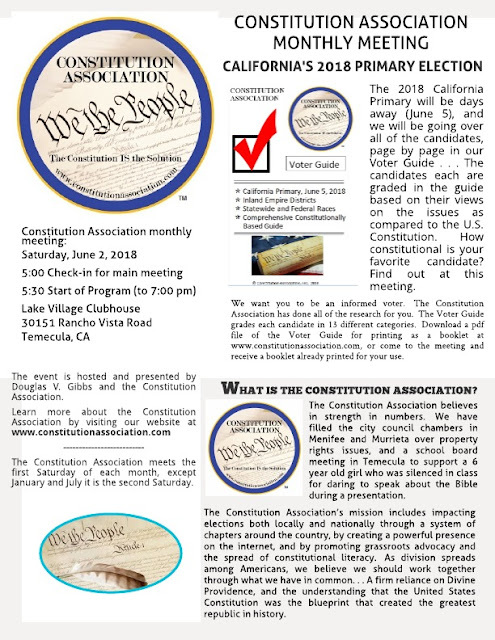 Constitution Needs You! ◉ Thursday, 6:30 pm: Temecula Constitution Class, 16th Amendment (Income Tax and the IRS). Location: Classroom, Faith Armory, 41669 Winchester Rd., Temecula. 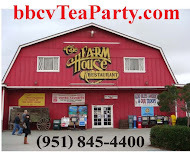 ◉ Saturday, 9:00 am: Corona/Norco/Eastvale Tea Party, Guest Speaker, Douglas V. Gibbs. Location: Marie Callender's, 160 E. Rincon, Corona. Tickets for the annual event in July will be available at all events. 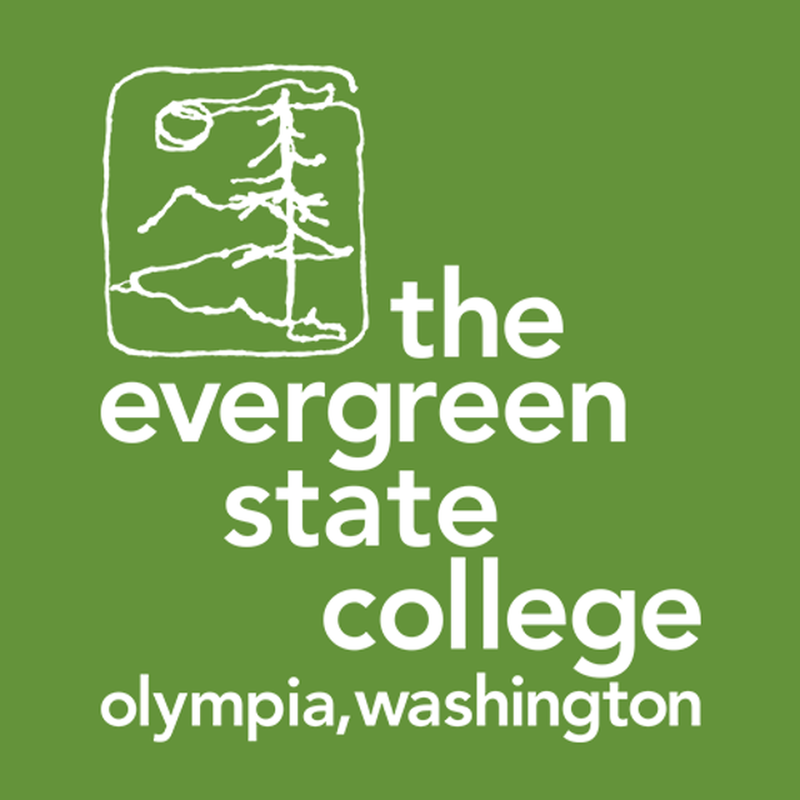 Washington's Evergreen College in the State's capital city of Olympia has gotten worse. A year ago the leftist progressive students at Evergreen State College protested fellow Democrat hard left progressive biology Professor Bret Weinstein. Why? Did he say something that they disagreed with? Did he commit some kind of unforgivable crime? Was he being investigated for some kind of impropriety? They were protesting against him because he's white, and on their "day of absence," during which the students demanded that all white people leave the campus, Professor Weinstein refused to do so. As a result, the protesters, roamed campus with baseball bats, disarmed campus police, and held the university president hostage, based on the color of people's skin. 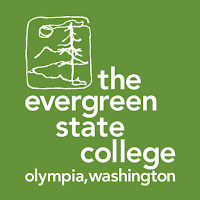 Now, Evergreen College is suffering for it's hard left liberal progressive Democrat Plantation racism. Enrollment numbers are plummeting. In the end, we are reminded once again that the most powerful court in the world is the court of public opinion, and that in a free market society if you piss off the consumers, business will go down the tubes. The Bill of Rights was created to appease the Anti-Federalists, but many of the Framers envisioned possible dangers in its creation. In fact, Alexander Hamilton in Federalist Paper #84 suggested that there existed the possibility of misinterpretations that may place the rights of the people in danger from an overpowering federal government. In Federalist #84 Hamilton suggested that government may create exceptions to powers not granted, and argue the power exists because it is not denied by the Bill of Rights. In other words, because the Constitution was designed to grant authorities, and those not listed are not granted, the Bill of Rights muddies the waters because those amendments tell the federal government what it can't do. Furthermore, many of the delegates in the Federal Convention of 1787 argued that the Bill of Rights is unnecessary, because prior to the creation of the Bill of Rights, the federal government was not given the authorities by the first seven articles over any of the issues listed in those first ten amendments in the first place. Regardless, the Anti-Federalists demanded the inclusion of the Bill of Rights in the Constitution, or they would not ratify the document. Needing the support of the Anti-Federalists in order for the Constitution to be made law, the Founding Fathers that were at odds with the creation of the Bill of Rights compromised, and James Madison was given the task to write out the Bill of Rights based on proposals received from the several States. Hundreds of proposed amendments were offered by the States. Only twelve were considered. Ten were ratified by the States during that time period. Answering concerns of the Founding Fathers that the federal government may interfere with rights not enumerated by the Bill of Rights, the 9th Amendment was included as one of those ten. The Founders expected the people to protect their own rights through self-government. With freedom comes responsibility, therefore the people, when it came to their rights, should be governed by their conscience, not government. This concept tasked the people, with their individual judgment, to be civil, and to not encroach on one another's freedoms. If citizens were guilty of violating someone else's rights, the civil court system in each State would address the issue. Local courts were controlled by juries, and left all issues regarding rights at the local level. The problem presented by the Bill of Rights, however, is that by listing specific rights that the government shall not infringe upon, many of the founders believed that would open up the opportunity for the federal government to "interpret" the Constitution to mean that all other rights not listed are fair game. Therefore, the wording of the 9th Amendment was carefully fashioned to enable the reader to recognize its intent. In other words, the government cannot "deny or disparage" any rights, even the ones not listed in the Bill of Rights, because our rights are given to us by God. This does not give the federal government the authority to guarantee our rights, however. To allow a central government to force lower governments to abide by the rights enumerated in the Bill of Rights is to open the door for government to later dictate to the lower governments other actions they would have to take regarding rights. 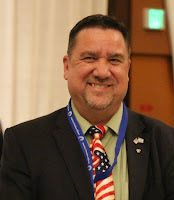 Since rights, as the Declaration of Independence reveals, are "self-evident," as well as individual possessions, the authority to resolve disputes regarding rights remains at the local level. Anti-Federalists - Opposed to formation of a federal government, particularly by adoption of the Constitution of the United States. Bill of Rights - The first ten amendments of the U.S. Constitution; a formal summary of those rights and liberties considered essential to a people or group of people. Federal Government - System of government in which power is distributed between central authority and constituent territorial units. Federalist Papers - Series of essays written by John Jay, James Madison, and Alexander Hamilton defending, and explaining the principles of, the Constitution in order to encourage the New York Ratifying Convention to decide to ratify the Constitution. 1. Why were the Anti-Federalists so worried about the creation of the federal government through the Constitution? 2. Who gives us our rights? Why is this significant? 3. What are the dangers of enabling the federal government to "interpret" the Constitution? The 10th Amendment was designed to restrict federal powers from encroaching on State authorities. The article states that any powers not given to the federal government by the Constitution, and any powers not prohibited to the States, belongs to the States. We must remember that originally all powers belonged to the States, a concept known as Original Authority. In order to create a central government, the States granted some of their powers to the federal government so that it may function in the manner necessary to protect, preserve, and promote the union. The States, in Article I, Section 10, are denied powers that would be in conflict with the federal powers granted. However, since the States originally maintained all powers, any authorities not granted to the federal government, nor denied to the States for the purpose of enabling the federal government to do its job, were retained by the States. The 10th Amendment was also designed to correct the problems that arose through the creation of the Bill of Rights. By the Bill of Rights being composed in such a manner that the first ten amendments tell the federal government what it cannot do, the worry was that the argument in support of unconstitutional activity by the federal government would entail the argument, "Where in the Constitution does it say the federal government can't do that?" Such an argument by the central government may open up opportunities for the federal government to compromise Americanism, and fundamentally transform into a big government tyranny. The Constitution was designed to grant authorities to the federal government so that it may function in the manner originally intended. The powers granted to the federal government are the only authorities the federal government has. If the powers are not enumerated, the federal government does not have those authorities. The 10th Amendment was written to remind us that even though the first eight amendments tell the federal government it "shall not infringe," the rule of the Constitution is that all federal powers are enumerated in the Constitution, and if the power is not granted to the federal government, nor denied to the States, the authority remains with the States. This article was written to support State Sovereignty. It is the Tenth Amendment to which one must first go when debating States' Rights. The amendment clearly states that all federal powers are enumerated, and the remaining unlisted powers, if not prohibited, belongs to the States. James Madison makes a clear argument in support of the concept of State Sovereignty in Federalist #45: ". . . each of the principal branches of the federal government will owe its existence more or less to the favor of the State governments. . . The powers delegated by the proposed Constitution to the federal government are few and defined. Those which are to remain in the State governments are numerous and indefinite. The former will be exercised principally on external objects, as war, peace, negotiation, and foreign commerce. . . The powers reserved to the several States will extend to all the objects which, in the ordinary course of affairs, concern lives, liberties, and properties of the people, and the internal order, improvement, and prosperity of the State. The operations of the federal government will be most extensive and important in times of war and danger; those of the State governments in times of peace and security. . ."
The States serve in a manner similar to that of parents. The people, through their States are the parents of the federal government, but the petulant child is not only acting in ways never authorized, but the parents, through representation, and other means, have determined for themselves that they have no ability to rein in the out of control creation. The 10th Amendment reveals the reality that the States are sovereign, and that the federal government has only limited powers. When breaking down the language of the Tenth Amendment, the previous articles of the Constitution become clear. It is in the Tenth Amendment that the principles of a limited government are most clearly articulated. The concept that the Constitution was designed not to tell the federal government what it cannot do, but to tell it what it can do, is presented clearly in the first portion of this amendment. Powers not delegated to the federal government by the Constitution are not authorities granted, meaning that the federal government is limited to only the powers enumerated by the Constitution. Some powers, despite the fact that original authority of all powers belongs to the States, are prohibited to the States. The authorities prohibited to the States are those that, if the States had those powers, may interfere with the federal government's task of protecting, preserving, and promoting the union. The list of powers prohibited to the States, any amendments doing the same notwithstanding, are located in Article I, Section 10. The word reserved was chosen carefully for this amendment. "Reserved" is used rather than the word "granted," because the States are not granted any powers by any source. All of the powers already belonged to the States from the beginning. Any powers the States did not grant to the federal government, nor decide to prohibit to themselves through the Constitution, remain with the States. The presence of the word "reserved" reveals that fact. Reserved, in the context of this article, also means "To hold for their own use." Americanism - A philosophy of freedom that actively seeks less government and more personal responsibility. Reserved - Kept for another or future use; retained. States' Rights - The authorities of the States over local issues, and other issues, that are not directly related to the preservation of the union or are considered as federal issues. 1. Why was it important to ensure the federal government did not encroach on State authorities? 2. What did Madison mean when he wrote, "the federal government will owe its existence more or less to the favor of the State governments." 3. Why is it important that the enumerated powers limit the authorities of the federal government? 4. How does the fact that the States have original authority in regards to all powers bring into perspective the relationship between the States and the federal government? 5. Why was the word "reserved" used in the Tenth Amendment, rather than granted? With one week to go in California before our primary (which is a weird one because it's a race for the top two positions, regardless of party . . . the establishment wants us to be more democratic . . . Despite the fact that in Article IV., Section 4 of the Constitution it says each State must be a republic) the Democrats are losing ground. The thing is, I don't think they realize they are in big trouble. I keep hearing all of this garbage about a coming blue wave. Their arrogance may wind up becoming their undoing. 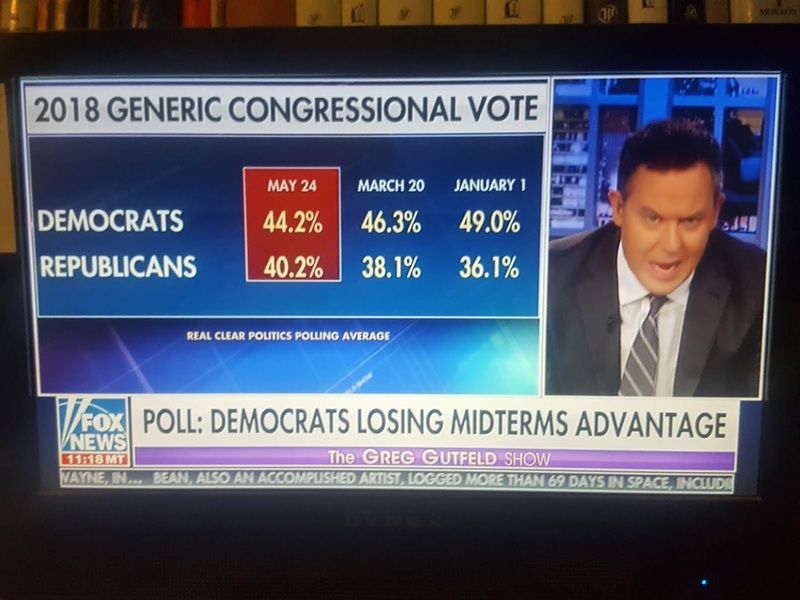 The other day I was watching Fox News, something I get a chance to do on rare occasion, and Greg Gutfield put up a graphic (shown above left) that shows that in generic polls the Democrats are losing ground. 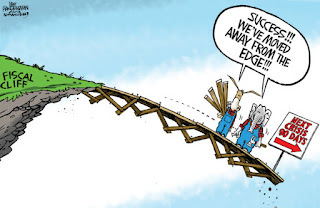 Could it be that the voters are sick of the "we hate Trump" platform of the Democrat Party, and are actually responding to the fact that the economy is improving, peace is expanding, and the Democrats are going off of a leftward ledge towards a straight mixture of Marxism and insanity, during a conservative Trump presidency? On television, California gubernatorial candidate Antonio Villaraigosa, the former mayor of Los Angeles, is showing us that he even realizes that the hard left craziness of Gavin Newsom (former mayor of San Francisco) is over the top, and so Villaraigosa is running on things like "single payer is too expensive" in order to overcome the deficit in the polls he's been facing behind John Cox. The gubernatorial candidate who understands that conservatism wins if articulated properly is Travis Allen. The polls, the same ones that said Hillary was a shoe-in, doesn't give Travis Allen a chance. Then again, they said the same thing about Donald J. Trump. In the case of Travis Allen, he's running his California Governor Campaign in a manner very similar as Trump did when he wound up flying up and out from under the radar to surprise everyone. Grassroots born, and popular with the people, Travis Allen is still in the race, and the establishment is throwing every trick they can at Allen to stop him. The establishment claims that only a moderate Republican like Cox can give the GOP any chance of securing the governor's mansion in California. How'd that work out with National Republican Party backed Neel Kashkari and "plenty of money" moderate Republican Meg Whitman? If the Republicans abandon Cox, and put their power behind Travis Allen, it will not only put the Republicans back into the Governor's seat, but put someone in office who is capable of fixing California. The last time we had a moderate Republican, Arnold Schwarzenegger, it was a disaster. That all said, could you imagine the shockwave through the country we would witness if California Democrats lost the Governor's race, and seats in both the State Legislature, and congressional seats in Washington? The Trump counter-revolution against the liberal left's coup against the U.S. Constitution would take yet another step towards restoring the American System of liberty, and knocking out the devastating policies of the Democrats . . . for a while. This morning I visited my grandfather, and a few of my fallen friends, at Riverside Memorial Cemetery. Memorial Day is a day when folks that may not thank vets go out of their way to thank our veterans, and active military, for their service. Really, I appreciate it as a former military member, myself. The thing is, today I don't want to be thanked for my service. Memorial Day is about our fallen. It is about honoring those heroes who died while in service to our country. Memorial Day is about those citizen soldiers who comprised 3% of the colonists who were willing to stand against the greatest military power of the day to fight for the independence of a new union of states. Memorial Day is about those fighting men of the American Revolution that often wore no shoes, and weren't exactly sure what they had gotten themselves into. They fought a well-armed professional military with limited supplies, and basic weaponry. They pledged, despite the odds against them, their lives, fortunes, and sacred honor for an idea - a new grand experiment based on the principles of liberty, self-governance, and the laws of nature and of nature's God. Memorial Day is about a young military who, to protect our trade-routes and sea-going vessels, stormed the shores of Tripoli. Memorial Day is about the second revolution where, during the War of 1812, the young military once again faced off with the most powerful military in the world, against all odds, and out-gunned. Yet, those brave soldiers were willing to give up their lives, if necessary, for an idea called freedom. Memorial Day is about those brave soldiers who fought to support Americans during the westward expansion, against fierce opposing forces, and incredible numbers; and those Americans who died in the Mexican-American War, a war of liberation for territories under the iron fist of a bloody Mexican dictator named Antonio Lopez de Santa Anna. Memorial Day is about the brothers that fought their brothers in a War Between the States that defined America's resolve to truly reveal the meaning of the phrase: All Men Are Created Equal. Memorial Day is about the rough riders who stormed San Juan Hill, and the brave Americans who did all that was necessary to protect America's interests in the war with Spain merely thirty years after the severe weakening of America's forces from the War Between The States. 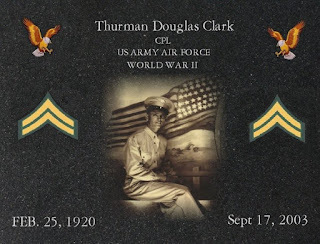 Memorial Day is about the brave warriors in a world war that America did not have to enter, but did to protect Europe against the war machines of Germany, Austria-Hungary, and the Ottoman Empire. Memorial Day is about the greatest generation as they gave their lives in yet another defense of freedom in Europe, and this time also in the Pacific, as they fought against the tyranny of the Axis Powers. Memorial Day is about the Americans who served to stop the spread of communism in Korea and Vietnam, bravely putting their lives on the line when the politicians were unwilling to fight to win. Memorial Day is about those Americans who gave their lives during the Cold War - a war that was often not cold, and a war that was won because of our resolve to remain strong in the face of the enemy. Memorial Day is about those Americans who served in the Persian Gulf at a time before we fully understood what we were up against - doing it simply to protect a smaller nation from the advancing tyranny of a dictator. Memorial Day is about those Americans who extended, or entered service, after September 11, 2001, for the purpose of defending our soil against an enemy we still understood very little at the time. Memorial Day is about the gunfire in the village, and the explosions on the roadway. Memorial Day is about the heroes who, knowing the dangers and the risks, and believing deeply in the cause of liberty, gave their lives for the freedom of people they didn't even know and have never met. Memorial Day is about our fallen. It is a day for prayers and reflection. It is about thanking those we can no longer thank in person. It is about visiting the cemeteries where they lie, dropping off flowers and American Flags at their graves. Kneeling in prayer, and dropping tears on their name plates as we remember their sacrifice. My grandfather, World War II Veteran Thurman Douglas Clark, and my dear friends, Vietnam Army Veteran Paul Young, and Vietnam Navy Veteran Bill Prouty, rest at Riverside National Cemetery in Southern California, surrounded by heroes - surrounded by our blessed fallen who gave their lives so that we may live in liberty. Memorial Day is about an idea called freedom, and remembering those who gave their lives to protect that idea.. I have been humbled. As a local constitutional authority here in Southern California, I have always taken pride about the fact that when it comes to the U.S. Constitution I am usually a few steps ahead of the political pundits, television and radio hosts, and professional writers out there. I remember back when Glenn Beck had his show on Fox News, my mom asked me, "Doug, do you know what Glenn talked about today?" "No idea, Mom," I replied. I am not one to watch much television. She grinned, and said, "What you were talking about two weeks ago." When I am asked about the various personalities out there, I tell people that my two favorites are Rush Limbaugh and Mark Levin. I like Hannity, Tucker Carlson, and the whole gang, too, but out of them all, Mark Levin comes closest to me when it comes to the U.S. Constitution. 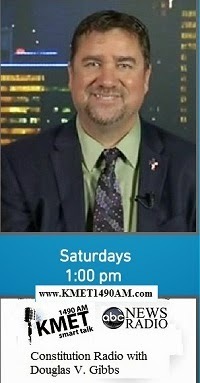 That said, I've always joked that I am usually a step or two ahead of even the great Mark Levin. In fact, I am a week behind, on this one. This is something that you may like to digest for some edification and Article II. Let me know how you take this, as Mark Levin is a pretty smart cookie when it comes to the Constitution. I watched the video, carefully digesting the information, and found myself surprised I hadn't thought about what was being presented, myself. "I didn't invent this, I looked at what my friend wrote, I went over it very very carefully, and I said, 'he's right' and 'I better start talking about this." ... Steven Calabresi was among the smartest of the smart, he was on the staff of the Attorney General [under Reagan] as was I, I was chief of staff, he was, I believe, special counsel, not the Mueller kind of special counsel, ... Steve would go on to become a professor at Northwestern Law School where he's a professor today and extremely smart so he sent me a piece that he'd written ... I said Steve you hit this out of the park, you nailed it ... making the case from a constitutional perspective ... an overwhelming case ... that the actual appointment of Robert Mueller special counsel violates the appointment Clause of the United States Constitution ... the appointment of Robert Mueller as special counsel by Rod Rosenstein and the manner in which Muller is conducting himself in the manner in which Rosenstein is very passive about overseeing what Muller is doing, violates the appointment Clause of the Constitution ... our framers were so brilliant they thought that principal officers, that's the key word, principal ... officers of the executive branch should only serve after they've been nominated and then confirmed by the United States Senate, nominated by the president, confirmed by the United States Senate, because they wanted the Senate to play a role in these top positions ... look at the United States Department of Justice, every single United States Attorney has to be nominated and then confirmed by the United States Senate ... every single one of them at main justice in Washington DC of the Attorney General has to be nominated by the president and confirmed by the Senate ... I'm gonna add more I'm gonna read from the Calabresi piece that he sent to me, he says, 'the appointment of Robert Mueller to be a special counsel to investigate whether president Trump's campaign illegally colluded with Russian agents in 2016 in the presidential election violates the appointment Clause of the Constitution and is therefore unconstitutional' ... 'all actions taken by Mueller since this appointment on May 17, 2017 are therefore null and void, including all the indictments he's brought, all the searches he is conducting, including his wiretapping of Michael Cohen, and all plea Arrangements he's entered into.' ... Robert Muller has behaved like the 96 US attorneys who are principle officers the United States and who must be nominated by the president, and confirmed by the Senate. He's behaving like an assistant US attorney who does not have to be nominated by the president because he says he's what we call an inferior officer and they're thousands and thousands of inferior officers in the executive branch who don't go to the Senate for confirmation ... Robert Mueller's appointment is therefore unconstitutional under Chief Justice Rehnquist, the late Chief Justice Rehnquist, majority opinion in a Supreme Court case in 1988 called Morrison versus Olson ... Olson was Ted Olson who was the head of the Antitrust Division and Morrison was an independent counsel under the Independent Counsel statute which has since lapsed, but they challenged the constitutionality of that statute and went to the Supreme Court. The Supreme Court upheld it and what Calabresi has done ... he's looked at these opinions so stay with me on this ... Robert Mueller's appointment is therefore unconstitutional under Chief Justice's majority opinion of Morrison versus Olson because it takes away quote too much unquote executive power from the president. It is unconstitutional under Justice Scalia's dissent in Morrison because Mueller does not have a boss who is actually supervising and directing what he's doing, it's rubber-stamping. Deputy Attorney General Mueller has deliberately abstained from playing such a role ... Article 2 of the Constitution ... is the clause that we generally refer to as involving the executive branch, here's what it says ... 'the President shall nominate, and by and with the advice and consent of the Senate shall appoint ambassadors, other public ministers and consuls, judges of the Supreme Court, and all other officers of the United States, whose appointments are not herein otherwise provided for, and which shall be established by law: but the Congress may by law vest the appointment of such inferior officers as they think proper, in the president alone and the courts of law or in the heads of departments. So you have the principals and the inferiors. Principals are the key people ... principle officers are selected by the president with the advice and consent of the Senate. Inferior officers may be appointed by the president alone, by the heads of the departments or by the judiciary; it has been the long-standing practice of Congress and the executive branch to give principal officer status to all important and powerful public officials even if they have a boss who can fire them ... the Department of Justice you have an attorney general the president can fire him, Deputy Attorney General the Attorney General, the president can fire him. Associate attorney general and all these assistant attorneys general you don't have to be the absolute top dog in a department ... a principal officer, there are positions below the top person in the department that are also considered critically important ... for instance cabinet secretaries have always been treated as being principal officers even though they can be fired by the president. Deputy and assistant cabinet secretaries are also principal officers that have to be nominated and confirmed even though they can be fired by the cabinet secretary ... it's obvious that Robert Mueller is behaving much more like a United States Attorney who must be nominated by the President and confirmed by the Senate, than he is behaving like an assistant US attorney. Mueller has acted and has behaved like a principal officer even though he was never nominated by the president nor confirmed by the Senate. The text of the appointments clause and the use of the word inferior elsewhere in the Constitution makes it clear that there are two prerequisites that must be met for someone to be an inferior officer and thereby excluded from being required the requirement of nomination and confirmation. First, one must have a boss who the inferior officer reports to who can direct or fire the inferior officer; and second, an officer cannot be inferior if the officer exercises as much power as is exercised by all the United States attorneys ... is there any doubt that Robert Mueller exercises as much, if not more power, than the United States attorney? He's not acting like an assistant US attorney who reports to a United States attorney focused on one person or a handful of people in one case or a handful of cases. So, this second test as to the officer inferiority is somewhat subjective in closed cases, but, it is very real nonetheless. If a prosecutor has as much power as the United States Attorney he is by definition a principal officer of the United States who must be nominated by the President and confirmed by the Senate ... a case called Edmund versus United States in 1997, a Supreme Court case ... Justice Scalia ... summarizes the history of the appointments clause in that case ... as we recognized in Buckley versus Valeo, 1976, it was a big free speech campaign case in which the Supreme Court actually came down for the most part on the side of free speech. The appointments clause of article 2 is more than a matter of etiquette or protocol, it is among the significant structural safeguards of the constitutional scheme by vesting the president with the exclusive power to select principled non-inferior officers of the United States. The appointments clause prevents congressional encroachment upon the executive and judicial branches. This disposition was also designed to assure a higher quality of appointments. The framers anticipated that the president would be less vulnerable to interest-group pressure and personal favoritism ... Federalist number 76, Alexander Hamilton, the president's powers to select principal officers of the United States was not left unguarded, however, as article 2 further requires, advice and consent of the Senate. So, the point here is a president does not have the time to pick all the inferior people, they're not in fear of people in inferior positions and the executive branch, you know, there's two million of them ... on the political side there's 3,300 of them, but, he has the sole power granted under the Constitution to pick the key principals, and that's the way the framers of the Constitution wanted ... requiring the joint participation of the president and the Senate, the appointments clause was designed to ensure public accountability for both the making of a bad appointment and the rejection of a good one ... Mueller violates both of these ... the president never appointed him and yet he's a principal officer. The president never appointed him, plus the Senate never confirmed him, so that undermines all aspects of the appointments clause because the president never appointed him as a principal officer and the Senate never got a shot at him ... accountability relative to important government assignments ... inferior officers are officers whose work is directed and supervised at some level by others who were appointed by presidential nomination in the advice and consent of the Senate. Is Mr. Mueller's work being supervised? No, a rubber-stamp is not supervision ... Deputy Attorney General Rod Rosenstein is by design, his own design, not supervising and directing the work that Robert Muller is doing ... Muller is not an inferior officer, therefore, under Justice Scalia's test in Edmund versus United States ... thus, taking away the president's nomination power ... Muller is not empowered to perform only certain limited duties. The independent counsel's role here is not restricted primarily to investigation ... he's all over the map ... admittedly, Deputy Attorney General Rosenstein seems to have delegated to Mueller full power and independent authority to exercise all investigative and prosecutorial functions and powers of the Department of Justice. But, this grant of authority does not include any authority to formulate policy for the government or the executive branch nor does it give appellant any administrative duties outside of those necessary to operate ... Muller must comply to the extent possible with the policies of the Department ... Muller is without any real supervision by Deputy Attorney General Rod Rosenstein ... I should add he writes that while DeputyAttorney General Rosenstein is a principal officer and could take action that Mueller took, he cannot delegate his principal officer status to Mueller any more than Donald Trump could delegate his power to veto legislation to Robert Mueller. The Constitution itself assigns the veto power to the president and the principal officer power to Rosenstein, and it is unconstitutional for either of them to give their constitutional powers to some civilian third party. This is a very very important point, one that I've touched on in the past myself. The conclusion is that the Mueller investigation is unconstitutional, this means the indictments he brought are null and void, the subpoenas he issued are null and void, the wiretap he's engaged in wherein are unconstitutional, his referral of information to the US Attorney for the Southern District in New York is unconstitutional because any information he obtained is the fruit of the poisonous tree now. What do you make of all that? Is there any question in your mind that Robert Mueller is not the most powerful prosecutor in the United States? ... the clear text, the language of the Constitution, what the framers intended, that people that have this kind of power need to be appointed by a President and confirmed by a Senate that they cannot be imported by, you know, the Deputy Attorney General, where he picks a third party civilian, as Calabresi points out, and and confers all kinds of powers on this individual. I think this is a good argument I think it's an accrediting argument. I think it's one that should be used in court. I would even argue it's one that should be used by every defendant in this case and it's one that should be used by the president of the United States should he need it ... Mr. Mueller is an aberration. Mr. Mueller is conducting himself like an autocrat. Mr. Mueller has none of the power to remove a president. He does not have a power to force a president with a subpoena in front of a grand jury ... does not have a power to substitute his own personal opinions for that ofthe United States Senate. The United States Senate only can determine upon impeachment whether a president is to be removed, not Mr. Mueller, nor any jury under the appointments clause. Mr. Rosenstein does not have the power to subvert the Constitution ... with the appointment of Mr. Mueller ... under the appointments clause where the president nominates and the Senate has to confirm ... opinion by Professor Calabresi ... Mueller was appointed and his given his conduct given his duties given his behavior given the extent of his activities and given the substance of his actions, Mr. Muller is violating the Constitution because his appointment violated the Constitution and hopefully the courts at some point, maybe the Supreme Court, ultimately, will understand this because he's not conducting himself like anybody in the past and I'm aware." Well done, Mr. Levin and Mr. Calabresi. You gentlemen nailed it. President Donald J. Trump is the first American President to get North Korea talking. Since Trump has begun working on getting North Korea's Kim Jong Un to talk, the North Korean dictator has met with South Korea's President Moon Jae-in. Then, suddenly, after Kim Jong Un met with China, the rhetoric began sounding like the planned meeting between Trump and Un may not take place. Then, South Korean President Moon Jae-in and North Korean leader Kim Jong Un held a surprise meeting at the demilitarized zone today, indicating that the meeting was aimed at keeping inter-Korean relations, and a possible summit between Mr. Kim and President Donald Trump, on track. The two-hour meeting, the fourth in history between leaders of the two Koreas, was only possible because of the work of President Trump. Trump's aim is to bring North Korea back into the community of nations, and in turn rein in North Korea’s nuclear ambitions. 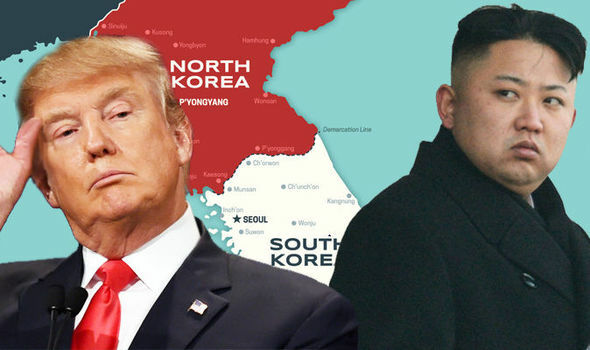 A meeting between President Trump and Kim Jong Un had been scheduled for June 12 in Singapore, but after a meeting with China, the North Korean dictator made it look like the meeting may not take place. Nonetheless, according to the White House, plans are still being made for the meeting, with a team departing for the site tomorrow to prepare should the summit take place. Today's meeting between the leaders of the two Koreas might be telling us that Un may be back on again for a meeting with Trump . . . or, it may mean the two Korean leaders may be willing to seek peace without the American President. The meeting between the current North Korean and South Korean leaders was the second time for those two to meet. Kim Jong Un’s father, Kim Jong Il, met with South Korea’s presidents in 2000 and 2007, both times in Pyongyang. Prior to the 2000 meeting, there had been no meetings between the leaders of the two countries since the split of Korea in 1945. At the time Korea had been split into two zones, the northern Soviet zone and the southern American zone, after 35 years of Japanese occupation, and the end of World War II. Second Hour: Forensic Accountant Alan Meyers - Let's talk about money and the Federal Reserve.